History of Pokerroom.com - Casino Answers! This is a quick placeholder page and we’ll have the Pokerroom.com History up by the end of May. PokerRoom.com was one of the first only poker rooms, opening in 1999. However, they didn’t actually offer real money games until 2001. The site was rather successful until the UIGEA ruling went down and they had to remove all US players from the market. 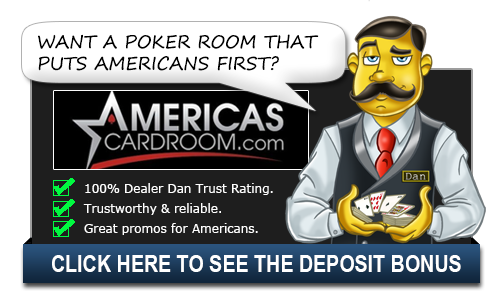 Do you have any old Pokerroom.com Reviews? Pokerroom Software: Pokerroom have the most accessible software of any online poker room; available as the standard Windows download, it can also be played via their website using Java, meaning it can also be used on Apple or Linux. Their software is very clean and tidy, with no unnecessary information or options distracting you from the poker; however the customization doesn’t allow you to turn off the avatars, or choose your own avatar, and the software, while great for single-tabling, can be very frustrating multi-tabling. Pokerroom Traffic: GMT Peak Time: 14,000. EST Peak Time: 20,000. Pokerroom’s majority of traffic heads directly to the tournament area, however there are still plenty of cash games at various levels available to play at. Pokerroom Game Variety: Pokerroom offer the standard Texas Hold’Em, Omaha and Omaha Hi/Lo in Limit, No Limit and Pot Limit, as well as offer 7 Card Stud. Pokerroom also have 5 Card Draw, have lots of tournaments of all different varieties, and also the feature to create your own private tournaments via the software. Dealer Dan’s Special Bonus: Playing in an SNG at Pokerroom, and push all-in on a 789 all diamond board, with two red aces? Instantly called by two black sevens, slowplaying a set? Well just like the WPT, when any all-in situation happens the action will slow down slightly, and the percentage of each hands chances of winning appear, and update depending on the turn card. This nifty little feature is unavailable at any other poker room, and is one of those “small things” that Dealer Dan loves so much…..so thanks to this, Pokerroom gets an extra star. Also, Pokerroom have attempted to build their own community under the banner “Pokah!” Unlike other sites that throw up a forum and leave it at that, they’ve worked hard to build the community aspect of things, and deservedly earn another star.